In Yosemite last summer and again this spring in Rocktown I ran into aspiring climbing filmmaker Brant Hawkins. On both occasions he showed me some cool videos he made, and all that was left was for him to find a way to share his videos with the masses. It looks like the wait is over and the website for Projekt Media is now live (mostly). 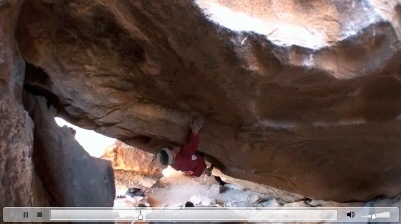 There are a few videos posted right now with the most notable being Nalle Hukkataival on the FA of The Machinist (V13) at Hueco Tanks, TX, an ascent I reported on back in February. Other videos include a higher quality version of Paul Robinson’s recent spree at the Hueco Rock Rodeo as well as Chris Webb Parsons cranking V12 in Hueco.